Part 5: I had the great fortune of getting a Business Class seat on the brand new Boeing 787 Dreamliner. After releasing an oxygen mask because I thought the release button was a light switch, and after discovering that the Dreamliner is the only aircraft in the skies with no footrests in Business Class I managed to lock myself in the bathrooms. Eventually I figured out how to get out, despite the 787 Dreamliner having the most complicated lavatory lock ever devised in commercial aircraft history. Much fanfare is made about the LED lighting on the 787. It not only dims but it changes color. This is really not a new feature; if you have ridden Cathay Pacific anytime in the past decade you are already used to this feature. The Dreamliner can change the cabin lights from white to midnight blue. Cathay Pacific actually takes this one step further and they simulate a sunrise at the end of the flight by going from black to orange to yellowish to white over the course of 30 minutes. The 787 Dreamliner doesn’t do that. But it is still nice that the lighting changes brightness and is a soothing blue color. I’m laying there, wondering why I cannot fall asleep. Normally I can sleep on an airplane. The 787 Dreamliner is supposed to be the most comfortable commercial aircraft in the skies, but I cannot get to sleep. And, then I realize: I have a headache…a pounding, horrible headache. My headache is the sort that I get after touring a factory with heavy machinery. And, then I realize that the cabin seems really, really loud. I hadn’t noticed before, but now that I am trying to get to bed and I have a headache I do. 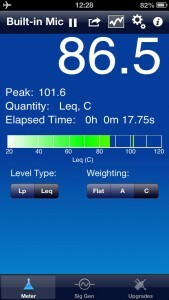 Because I work in HR and tour all sorts of facilities, I find it useful to travel with a decibel meter. 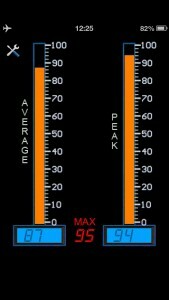 I have a couple of iPhone apps that are decibel meters and they’re surprisingly accurate. So I measured the noise. Now, I happen to love aircraft and I have regularly measured the interior sound levels. My favorites are the 747 and the 777. For many, many reasons they are just great to fly in. I prefer the nose cone of the 747 because it is spacious and quiet. I avoid the upstairs hump on 747s because that area is very noisy and the ceiling is low and cramped. Most comfortable aircraft have db noise levels of about 70-72 dB. Depending upon where you are in the airplane it can be lower or higher, but this is the norm. I had been lead to believe that the 787 Dreamliner was an exceptionally quiet airplane. At least, that is what I read from the propaganda. So, until now I had not thought to actually measure the noise level. 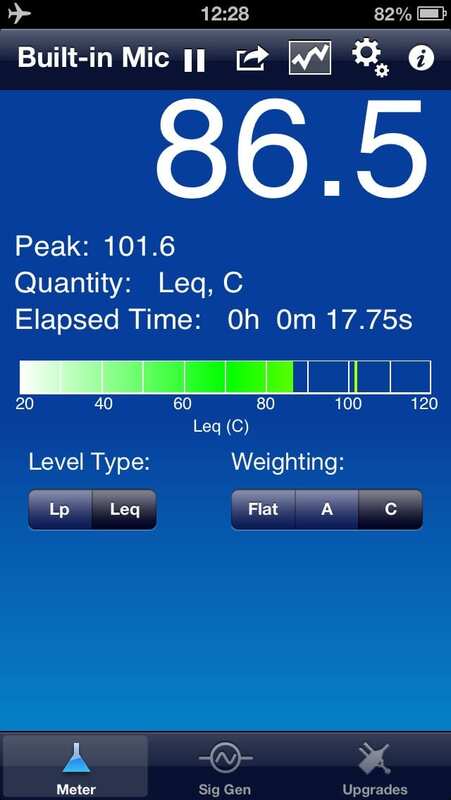 The normal sound level in Business Class is about 72 dB. Here, I seemed to have a reading of 86+ dB. Every 5-6 dB is a doubling of the perceived volume level. So what my quick-on-the-cuff math said was that I was seeing volume levels 5-times higher than on a 747 or 777. 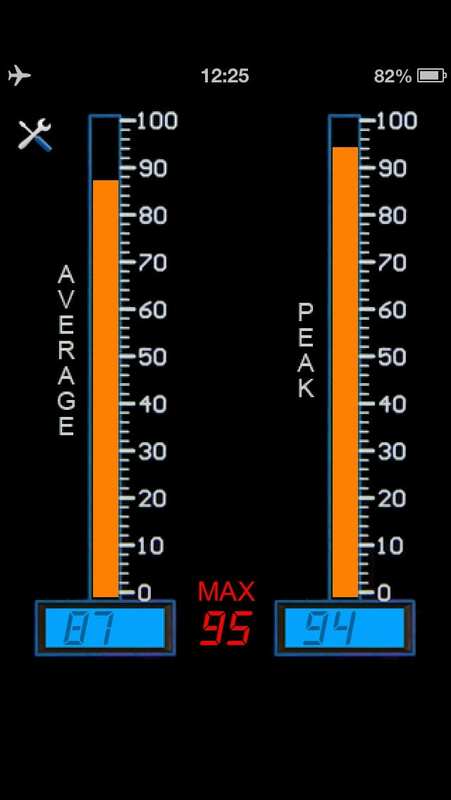 A decibel reading of 86 is really bad. Um, yes. 86 dB it is. In Business Class. Surprised, I walked around with my iPhone in dB mode. Pretty consistently, from front to back of Business Class the reading came out at an average of 86 dB. Some areas were over 100db.the interior of the 787 Dreamliner is as loud as a train whistle at 509 feet, or of truck traffic. Wow. I think the noise level inside of the 787 Dreamliner explains why I have a pounding headache and why I cannot sleep. We have factories that are quieter than this! I go back to bed. Try as I might, sleep is not forthcoming. It is just too loud. You cannot sleep with freight trains running constantly in the aisles. The Dreamliner experience is turning into a nightmare. Part 6: I have a pounding headache. My Business Class seat on the magnificent Boieng 787 Dreamliner is turning into the Nightmare-liner. I can’t get to sleep in my lie-flat bed. I have been locked in the toilet. There are no footrests. And I still haven’t figured out how to get the reading light to turn on without dropping the oxygen masks. It’s not been a good trip. The glare of the toilet light has gotten to me. It’s bright enough to cast a shadow on the back of my seat. I still haven’t figured out why it is there, in front of my seat, nor of why it must be so bright. It is the universal icon for where toilets are located, but there are no toilets in my row. I played with the window control a bit. On the 787 Dreamliner the windows are electronic, there are no pull-down shades. You touch a button and they dim. What I notice first is that the window is HOT. It is hot enough that I feel the heat on my face.you don’t want to touch the window, it is uncomfortable. Now,my experience with airplane windows is that they are cold. It is something like -60 degrees outside and window seats are always very cold. But this window is very, very hot instead. And the seat is hot. I feel the sun on my face. Now comes the shocker: the window is already on maximum blackout. It doesn’t get any darker. 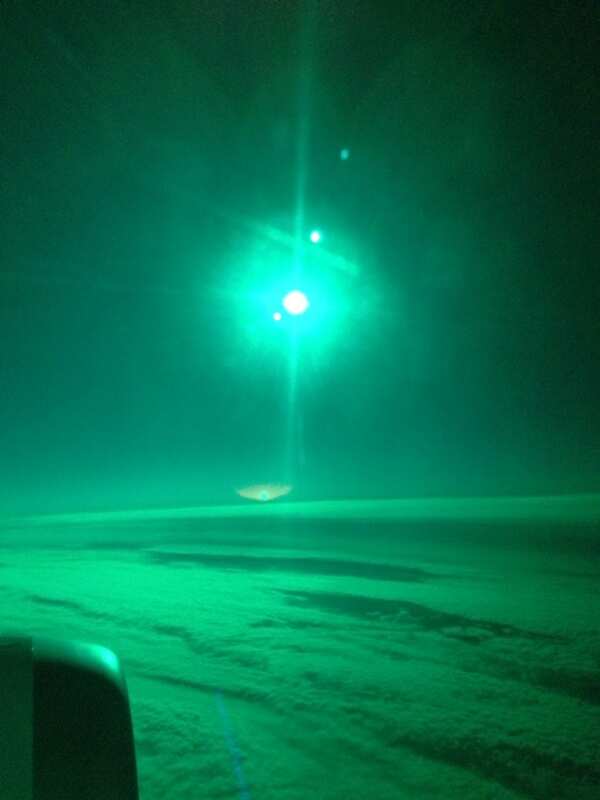 You have this beautiful view of the outside with the bright green-colored sun in your face while the window is on maximum dark. This is not good. 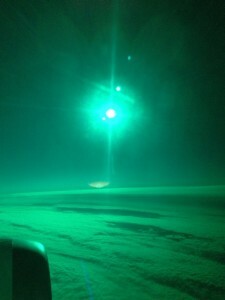 Because you are chasing the sun when flying west to Asia, this means 12 hours of glaring sun that you can’t get rid of. I wonder if the shades filter out the UV or if you can actually get a suntan. I don’t have a UV meter with me. So much for electronic windows. I will say that the windows are big on the 787 Dreamliner. When the airplane taxis and you are in the center seating section you actually get the feeling of being on an amusement ride. You truly get the sensation of driving around the airport. I have never had that feeling before on an airplane because you really can’t see out.but on the Dreamliner you get the sensation of buildings passing by and of the airplane turning…it’s a real enough sensation that your stomach will follow the motion. I rather liked the feeling of being in a bus or car and of seeing out on both sides, and of motion. The bigger windows on the 787 Dreamliner are much, much bigger!